Addicted Aussie town where kids as young as ten are hooked on ice. News in 5: Aussie town with ice-addicted kids; Blogger's legal battle; Search for missing teen resumes. 1. The tiny Australian town where children as young as 10 are addicted to ice. The affluent farming town of St George lies 550km west to Brisbane, and is home to just 3,000 people. But according to a Courier Mail investigation, the town is home to an ice epidemic of epic proportions, with children as young as 10 addicted to the dangerous and deadly drug. Some families have four generations of drug users, while another girl was force fed the drug by a family member when she complained she was too tired for school after being kept awake all night by her parents&apos; drug benders. "One of the aunties had actually given her ice to keep her awake," Robyn Fuhrmeister, chairwoman of community support group Care Balonne, told The Courier Mail. The next day, the 14-year-old schoolgirl had a fit in front of her horrified classmates. Charities that serve the town have stopped handing out food vouchers to families, after learning they were being swapped for drugs. Stores have stopped selling light bulbs, which are used as makeshift meth pipes. Many of the homes are without light as addicts rip the bulbs from the ceilings. Just three years ago, 65 people were arrested in the town on drug-related charges. In the past 12 months, the number has more than tripled to 235. At a recent ice forum organised in the area, Vicky Parker, St George State School&apos;s head of special needs, said children as young as five were the most affected by the epidemic. Between 2009 and 2015, the number of children who were socially and emotionally ready to start school plummeted to less than half. Ninety per cent of children who attend St George State School attend a ‘breakfast club’ to ensure they are fed before starting their day. Some turn up with no shoes. "These are babies, these are our five-year-olds that are not on track," Parker said. Visit the Courier Mail to read the full report. 2. Blogger Constance Hall locked in legal feud with couple who designed her now-defunct website. Constance Hall. Image via Instagram. 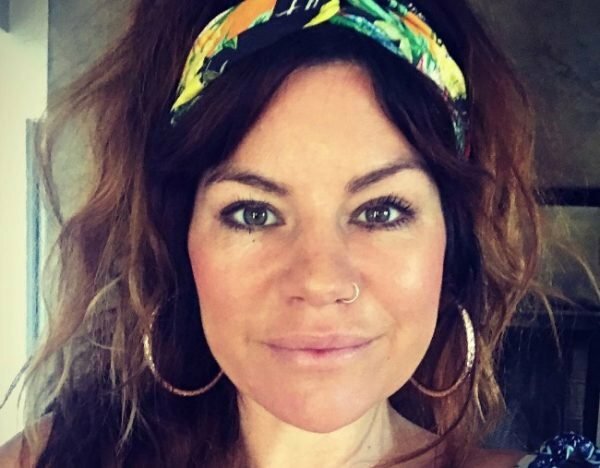 Barely a month after it was revealed 34-year-old Constance Hall was being sued by a former book editor over unpaid royalties, the mummy blogger is embroiled in another legal battle. Hall, who is currently pregnant with her fifth child, is facing a legal battle with married web developers Joshua and Annabel Onward, who are claiming damages of at least $118,582 for "breach of contract", according to Perth Now. A lawyer for the designers say the pair entered into a written agreement with the blogger in April of last year, to "design, develop and manage" her now-defunct website, queensofconstance.com. 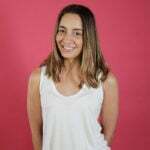 In a statement via her lawyer, Jack Dolphin, Hall denies any breach of contract and said she followed the rules of the written agreement when it became clear they had "creative differences". "I... saw it out for the 12 months and then we went our separate ways," she said. "Now they&apos;ve come back to sue me... I will not let [them], or any of the others that are coming out of the woodwork, destroy my name or think that I will crumble and give them money." 3. Search resumes for teenage girl missing off a South Australian beach. A rescue helicopter searches for a teenager missing off an Adelaide beach. Image via 9 News. A search is set to resume this morning for a teenage girl who went missing while swimming at an Adelaide beach, AAP reports. The girl was in the water with four other teens at Glenelg on Sunday evening when they got into trouble about 5.50pm. 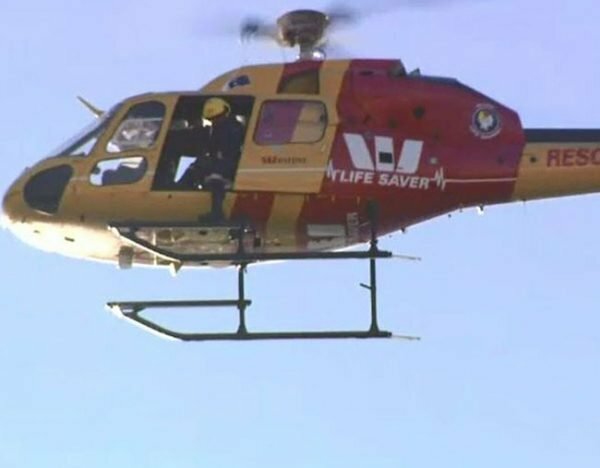 Lifesavers pulled four teens from the water but were unable to find the girl despite an extensive search, which involved boats and rescue helicopters, until dark. Several people, believed to be friends of the missing teen, searched the rocks north of the Glenelg jetty. "We just heard there were five kids and they rescued four but one was still missing," 17-year-old Tahni Olofsson, who was helping with the search, told The Advertiser. "They were hysterical. She [missing girl] could be anywhere right now, it’s hard to say when they’d give up the search." Police and lifesavers are hoping to resume the search at first light on Monday with assistance from the police helicopter. The rescued teens were treated by paramedics and taken to hospital for assessment. A 17-year-old girl was in a critical condition and had to be given CPR by paramedics on the way to the Royal Adelaide Hospital. 4. US study finds kids who are smacked by their parents are more likely to assault their partners as adults. A new study has revealed that children may be more likely to become physically abusive adults if they are smacked by their parents. Researches from The University of Texas Medical Branch (UTMB) interviewed 700 people for the study, with 68 per cent of adults reporting they received physical punishment as children. Of those 68 per cent, 19 per cent admitted to recently being physical aggressive towards their partners. Senior author of the study Jeff Temple, said there was a distinct link between corporal punishment and adults who had "recently committed dating violence". "While parents may think this form of physical punishment is a good lesson, substantial research indicates that it does way more harm than good," he said, news.com.au reports. 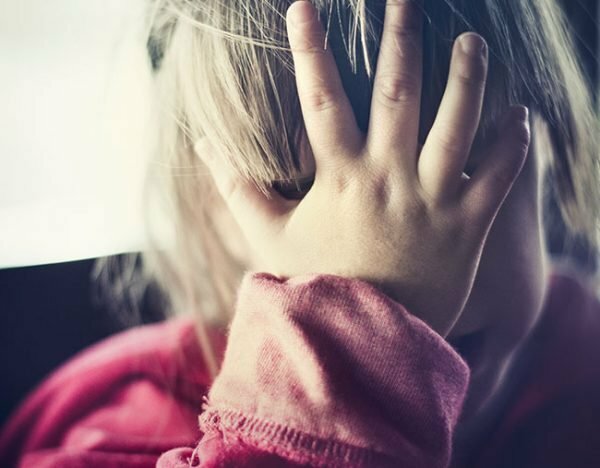 "While we can&apos;t say that spanking causes later violence, it follows that if a kid learns that physical punishment is a way to solve conflict, he or she may carry that over into conflicts with later intimate partners. "Parents are a child&apos;s first look at relationships and how conflicts are handled. Corporal punishment is communicating to children that violence is an acceptable means of changing behaviour." 5. NSW government closes "archaic" loophole that allowed employers to fire pregnant women. NSW will close a loophole allowing employers to sack a woman who knew she was pregnant when hired, AAP reports. Premier Gladys Berejiklian said the changes would make sure pregnant woman were not discriminated against. "This is a great win for women in the workforce, it&apos;s a great win for families," she said on Sunday. NSW Attorney General Mark Speakman and Minister for Women Tanya Davies announced the abolishment of two subsections in the NSW Anti-Discrimination Act 1977. The law had allowed employers to fire women who knew, or should have known, they were pregnant when they applied for a job. "It&apos;s unacceptable and out of step with modern standards for a woman to be overlooked for a role because she&apos;s pregnant, or dismissed from a new position once it becomes apparent she&apos;s carrying a child," Mr Speakman said. The move brings NSW in line with other states and territories. 6. WBBL player Ellyse Perry makes heartwarming gesture to a young fan injured during her Sydney Sixers match. Ellyse Perry has done her best to make sure a young boy injured in the crowd at the Women&apos;s Big Bash League on Saturday is recovering well. The young boy copped a cricket ball to the face after Perry hit it for six, as the Sydney Sixers played the Melbourne Renegades at North Sydney Oval. Immediately, Perry threw down her bat and ran to the fence to see if he was okay. His parents, as well as paramedics, were quick to respond and the boy was taken to hospital. "It&apos;s never nice to see someone get hit in the head particularly with a cricket ball, I was really concerned because it hit him pretty hard," Perry said on Saturday evening, the ABC reports. But that wasn&apos;t all: the 27-year-old cricketer made sure to call the boy&apos;s family on Saturday night to check on his progress. It was a weekend where WBBL records tumbled, when Sydney Sixers scored an 86-run win over Melbourne Stars in Sydney. 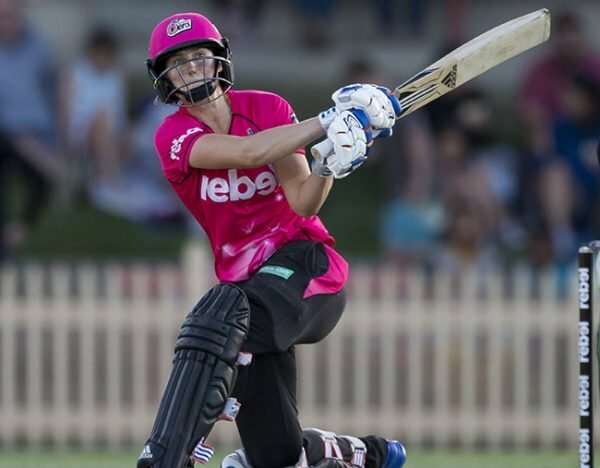 Ashleigh Gardner belted a competition-high 114 of 52 balls while Ellyse Perry finished unbeaten on 91 from 49, as the Sixers scored a league record 4-242 at North Sydney Oval. They eclipsed the previous best score of 6-200 set by neighbours Sydney Thunder in their 45-run win over Melbourne Renegades at the same venue a few hours earlier. Gardner also scored the quickest WWBL 50 off 22 balls, which was later equalled by the Stars&apos; Lizelle Lee. 7. NSW wants to trial a &apos;grave-renting&apos; scheme, which will see bodies dug up every 25 years. 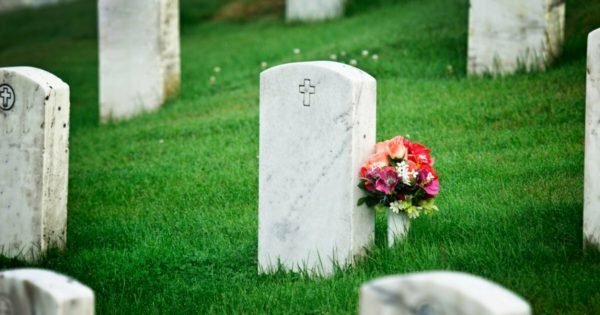 According to the NSW Government, Sydney is fast running out of room to bury the dead, with burial space estimated to run out within 10 years. Now, the government is proposing a bizarre new scheme in which graves are ‘dug up’ after 25 years, 7 News reports. The Berejiklian Government is proposing that people simply lease the burial space for a certain number of years, before the position is passed on to someone else. "It gives you the choice of saying &apos;I&apos;m happy to be buried there for 25 years&apos;," Christopher Zinn from Cemeteries and Crematoria NSW Board told 7 News. "Then those remains that still exist will be put in a sanctified place. And then that space can be used again." Under the proposed plan, families will also be able to extend the gravesite lease for up to 99 years. After initial feedback suggested the concept of digging up the dead was "horrific" and "disrespectful", Premier Gladys Berejiklian has stressed that leasing a gravesite would not by any means be compulsory. "It&apos;s simply a proposal at this stage," she said. WANT MORE CRICKET? WATCH THE WBBL LIVE STREAM ON MAMAMIA.